This cute little set was handmade from Ponderosa pine from the Black Hills. 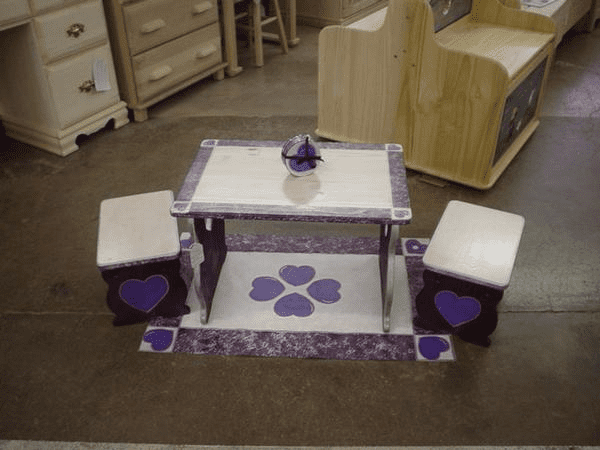 The little girl it was made for loved the color purple….so we Handpainted the piece with hearts in purple. Added the coasters and Handpainted floorcloth to make a unique one of a kind set. We can make one for you with any design you desire.